Something a little different this week. 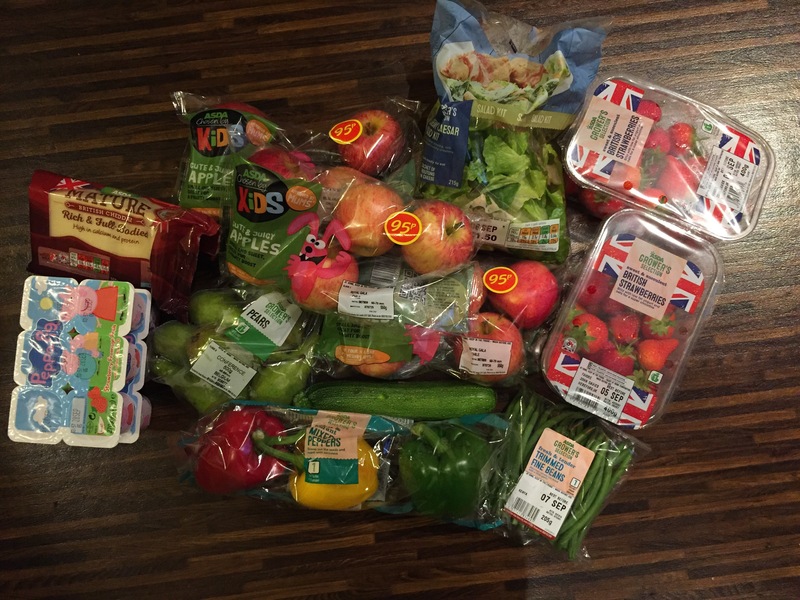 As a family of 4 (almost 5), I do our big food shop once a week at Asda to try and keep costs down. We don’t buy meat from a supermarket, as Ed prefers to buy it direct from a butcher once a month and freeze it, which works out quite well. 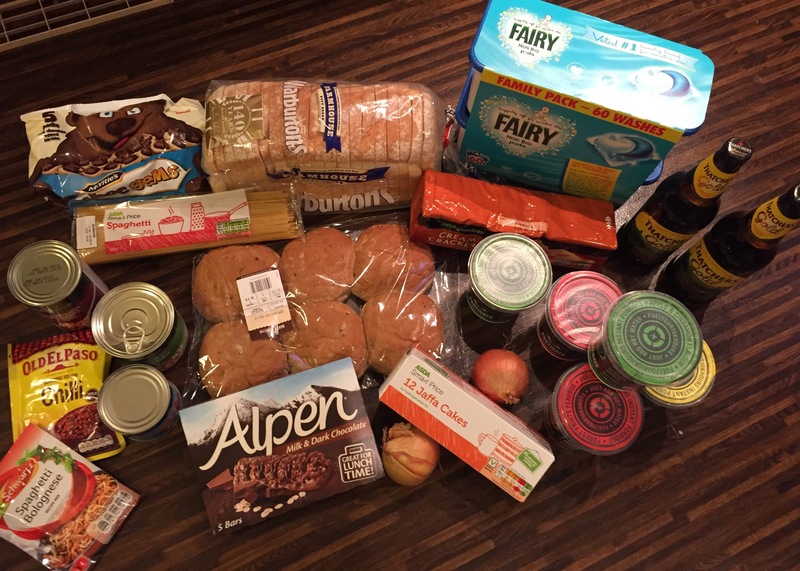 This week was our first ‘back to school’ food shop since before summer so I was a little worried about keeping it to budget but we managed with about 60p to spare (yay!). I always budget £50 for the weekly shop which I think is a fairly low amount considering how many apples the children get through each week! Although we have meat for our meals and things like spaghetti bolognese and sausages which the children eat, they are typical fussy young children who sometimes just want fish fingers and chips. 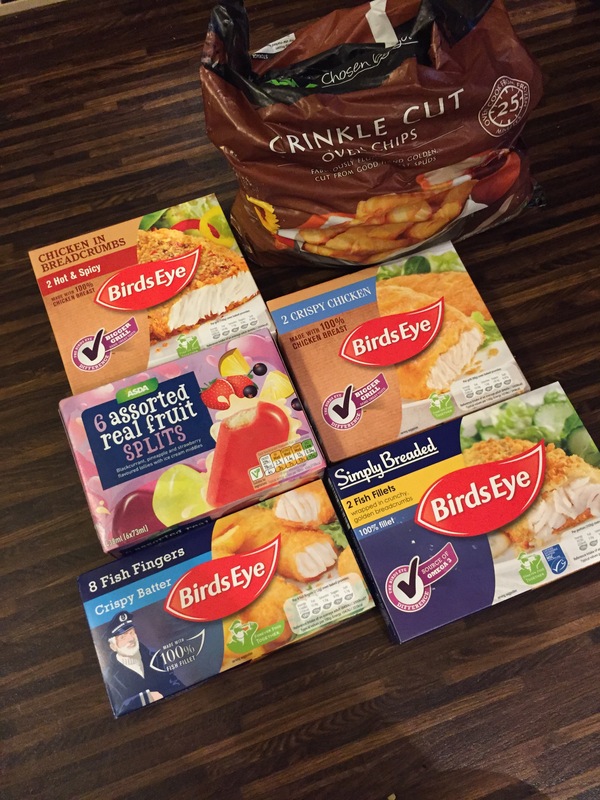 I tend to stock up and alternate ‘proper’ meals for them with these quick and easy options. Cameron and Carly love yoghurts and have them at breakfast as well as in Carly’s nursery lunch box. I tend to have cheese rolls for at work, and we have a lot of apples for the children who love them. The children also have strawberries for their snack at school/nursery. Ed and I tend to avoid carbs in general in most of our meals and stick to meat and veg but we do love a good spaghetti bolognese. When we have chilli or curry we have it without the rice. I have cereal bars for work days and on my day off on Wednesday I have sausage and beans on toast as a midweek treat breakfast. I was quite proud of staying within budget as this week Ed got some porridge ready to go pots for work, a few bottles of cider and the double pack of washing machine tablets. 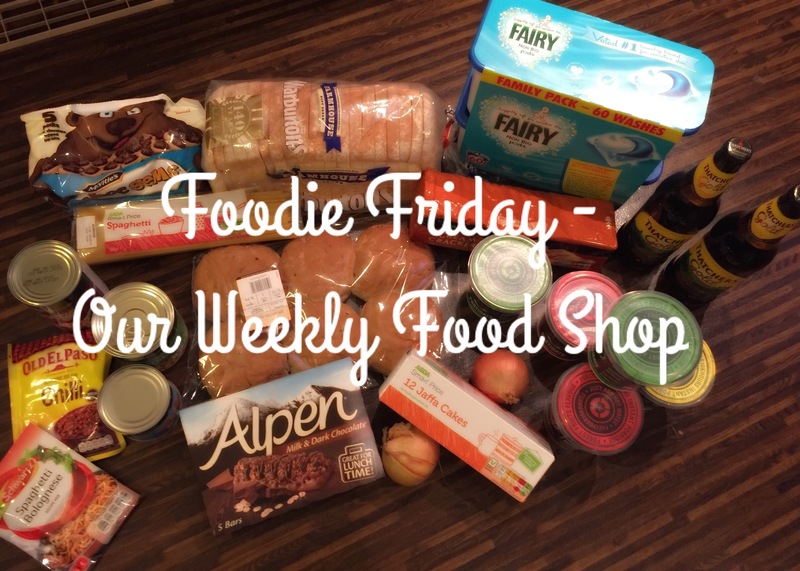 Do you have a weekly budget for your food shop? Do you buy meat from the butchers?